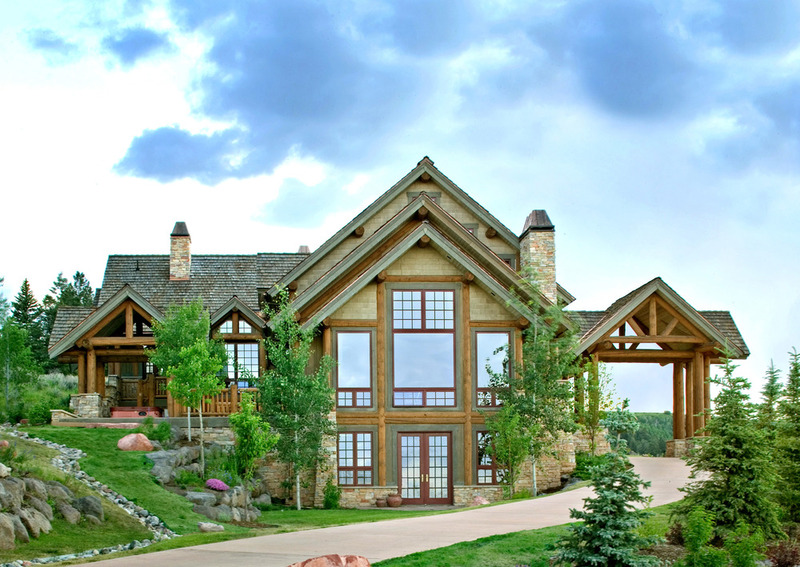 This custom home was designed to be a part of a prestigious golf course community located near Vail and Aspen ski areas. Existing conditions determined a design that nests itself into the hilly site, while large amounts of exterior glazing capture the prized views outside the home. 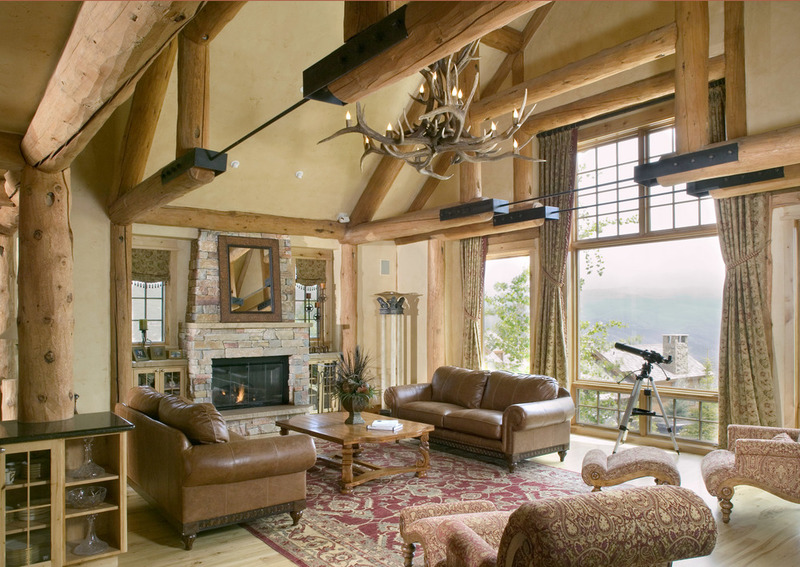 The house is reflective of the Colorado ski lodge style, with large vaulted ceilings, wood trim, exterior and interior stone detailing and natural wood exterior finishes. The log "beaming" is carried from the exterior through to the interior to create a more continuous design. A private deck at the back of the home uses the beauty of the outdoors as a private setting for relaxing in a hot tub.